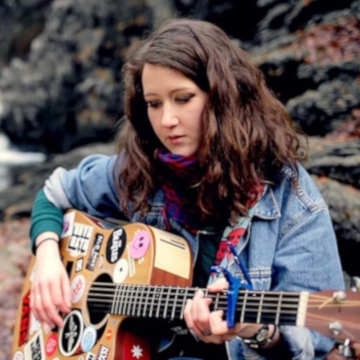 Míde Houlihan is a Clonakilty bred singer songwriter, who has captured the hearts of many an audience over the last number of years. With some high profile support slots including the likes of FRED and Canadian folk singer Doug Paisley, as well as international cult star, Jenn Grant, Míde has made a name for herself as one of Irelands brightest prospects. Her debut album "Coloured In"was released in 2015, with the lead single, "Nuts and Bolts" winning the IMRO Christie Hennessy Songwriting Award. Míde recently joined up with Cork City based promotions/productions company, Unemployable Promotions, and is currently in the mixing phase of her forthcoming EP, "Shifting Gears", which is scheduled to drop in Feb 2019 on Unemployable Records. The EP, recorded by Christian Best (Mick Flannery), and features some great Irish musicians such as Alan Comerford (O Emperor), Dylan Howe (Rowan, Clare Sands), and more.